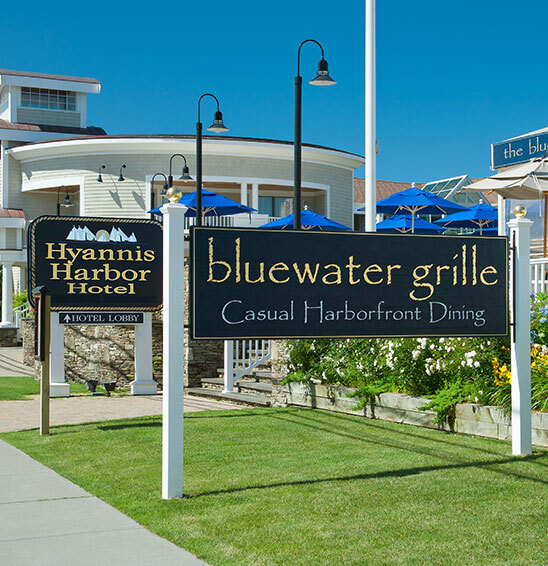 The Bluewater Grille, our seasonal outdoor Harborview Restaurant and Bar, is the premier restaurant on Hyannis Harbor and directly overlooks the Hy-line ferry and bustling Hyannis Harbor. Many Cape Cod hotels include restaurants, but how many of them offer dining on Hyannis Harbor? The Hyannis Harbor Hotel offers dining options just steps from the hotel and include The HARBORVIEW restaurant - a new and exciting restaurant just adjacent to our hotel and across from the ferries. Others offerings include the Black Cat Tavern, Spanky's Clam Shack, and Baxter's Seafood Restaurant. Historical downtown Hyannis is just a casual walk from our Cape Cod hotel and offers other fine dining choices. Overlooking scenic Hyannis Harbor, the Bluewater Grille is one of the best restaurants in Hyannis, MA. Open seasonally, our harborside restaurant and bar serves fresh seafood in a casual atmosphere. The menu celebrates Cape Cod with appetizers, sandwiches, salads, and seafood. Enjoy relaxed harborfront dining with exceptional views of the harbor on the screened-in main room or stone patio with a fire pit for evenings. Enjoy beer and cocktails at the bar with large HDTVs or at the poolside bar. During the fall season the restaurant hours may vary based on weather and other factors. We appreciate your understanding. A new and exciting restaurant just adjacent to the wonderful Hyannis Harbor Hotel and across from the Hy-Line Ferry in Hyannis. The interior design reflects the menu, a contemporary décor with clear lines provides a sophisticated but relaxed atmosphere to enjoy the food, wines and handcrafted cocktails. The friendly and well trained waitstaff is here to provide the service everybody wants to see from an upper scale eatery. We are transforming the freshest and locally sourced ingredients in to mouthwatering dishes with a Mediterranean twist. 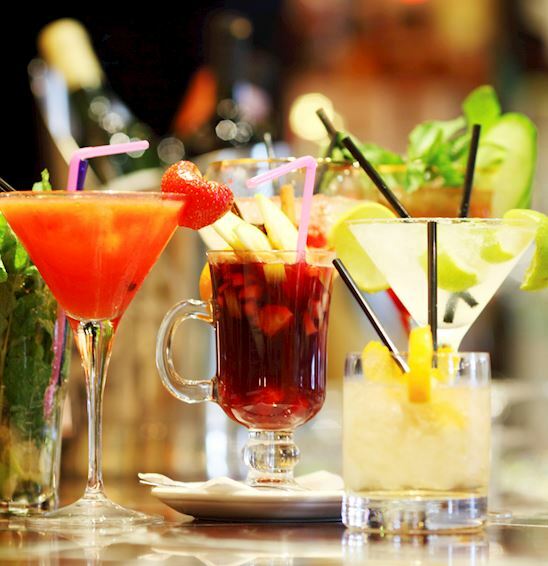 An expansive list with a very large selection of wines by the glass and handcrafted cocktails accompany our tapas style menu. We look forward welcoming you to the HARBORVIEW to make your day or evening a memorable one. A Hyannis institution for decades, the Black Cat is open for lunch and dinner and features a selection of New England specialties. Open seasonally, a casual harborside restaurant featuring fresh shellfish, fish and chips, and other area specialties. Open seasonally and known throughout New England for its fish and chips and other seafood favorites in a casual atmosphere.